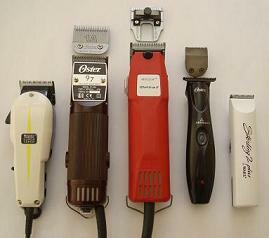 A broad range of clippers and trimmers to suit every requirement. All carry a full manufacturers guarantee and can, of course, all be serviced and repaired in our workshop.Click here to see the range available. Click here to browse for professional blades for hairdressing clippers, with a wide range of well trusted brands, there is a blade for everyone. 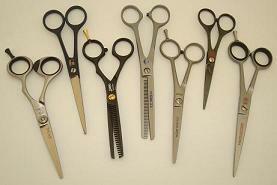 We carefully select a range of high quality hairdressing scissors from the leading manufacturers to ensure you always have the widest choice of quality at a good price.Click here to see the range of brands available. 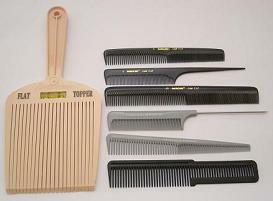 A range of top quality combs to suit all requirements.Click here to see the full choice. 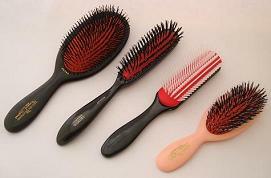 A range of brushes from top quality manufacturers, carefully chosen to bring you the best choice and competitive prices.Click here to see the full choice. 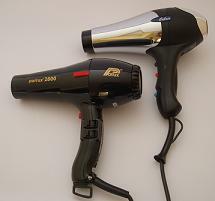 A top quality range of hairdryers for professional use, all can be serviced and repaired in our workshop. Click here for details of the range. A range of manicure and pedicure products, suitable for professional use.Click here to see the full choice. 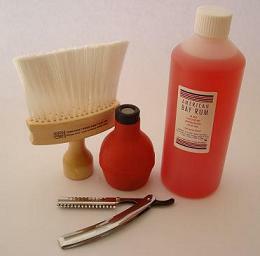 A selection of salon essentials.Click here to see what is available. 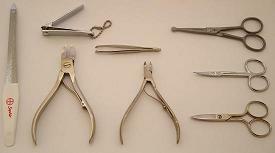 Spare parts for a range of hairdressing clippers including Oster, Thrive and Wahl. 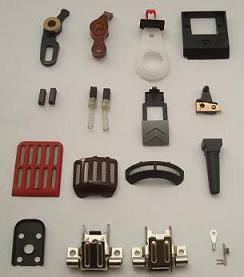 Shop for batteries, blades, attachment combs and other small parts.